This re-issue single on Milk Cow Records is perhaps my re-issue of 2014. 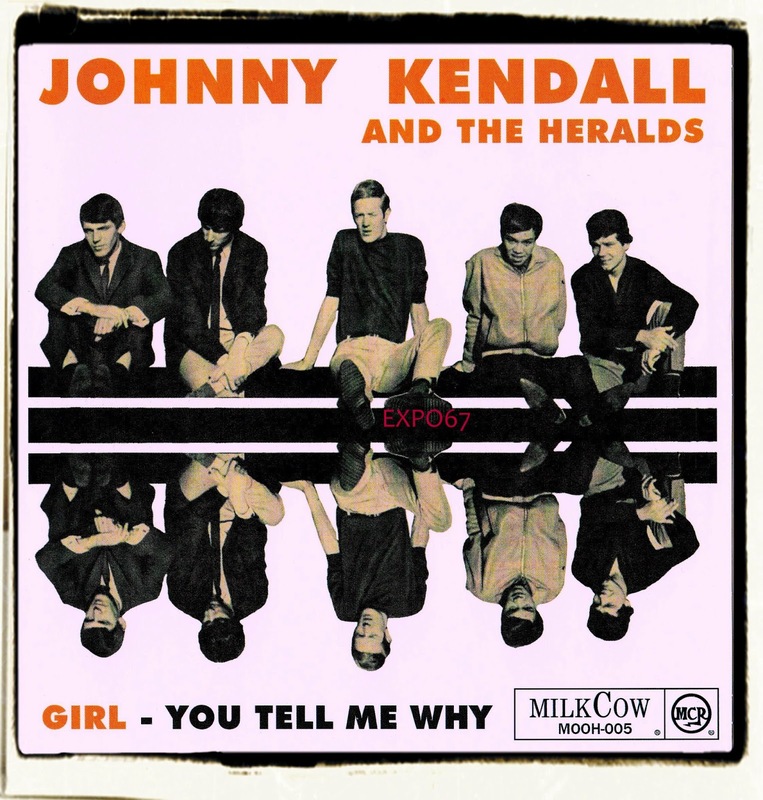 They have done a superb job recreating the thick picture sleeve, the sound quality is top drawer and they also include a promotional postcard showing Johnny Kendall & the Heralds on stage. The combo hailed from Amsterdam and came to my attention via Pebbles #25 when I first heard their savage '66 beat hustler "Girl". This is killer Kinks style beat with harmonies and way out lead guitar solo. The other side of this reissue gives a time and a place for their Beau Brummels cover "You Tell Me Why"